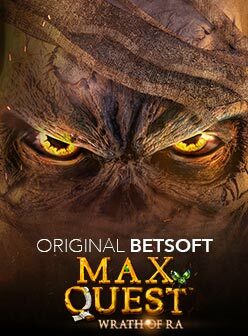 Launched at the end of May 2018, Ogre Empire from Betsoft is the 5 reel, 3 row and 25 fixed paylines slot presenting spreading wilds, random cascades, joker multipliers with up to €600 on a payline. If you've ever watched Shrek, then you may see a similarity to the Ogre in this slot. They're both big, green and ugly! The difference between the two is that this ogre is mean – real mean! The 3-D ogre is perched in front of a castle, smirking. During the day, the Ogre roams unchallenged in the village pushing the villagers into hiding. The village is at the mercy of the Ogre and they have left the town and reels to the fancy of his cruel temper! For you, each temper-tantrum launched by the Ogre can result in prizes! During the evening, when the Ogre is fast asleep, the relieved villagers rejoice as they can come out of their hiding places. Not just the villagers though – the King symbol as well! He makes it possible to win royal rewards. Whether the monster is asleep or awake, you will find that you can still win prizes. The high-value symbols include a diamond, the ogre and plate of gems. The lower-value includes gold coins, a mace and mushroom followed by four poker symbols. The music is supportive of the atmosphere of the slot with its orchestral tune. The wild symbol acts as a joker which can substitute for any other symbol except the sun and the moon. The slot has a tall moon/sun symbol that only appears on the third reel, that can appear as 3-spaces high and when it does the mode changes to night/day. In day mode the ogre smashes the reels removing the low-value symbols while causing a cascade. There is also a Sun Bloom Flower that spreads along the reels transforming from 1 to 3 other symbols into wild. When in night mode the Night Bloom Flower spreads along and projects spores onto 1 to 3 other symbols turning them wild. The K, Q and A changes into the King, Queen and a 2x wild which can combine with other multipliers. The Double Up Game is a 50-50 chance to double your winnings by calling heads or tails in the air. You can gamble 100% of your winnings or 50% of your winnings. 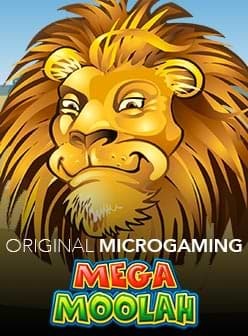 Ogre Empire slot has a RTP of 95.32% with bets of €0.50 to €15. This video slot can be found in many of the leading casinos and we've provided links to only our most trusted partners. Play the slot on pc or on the go with you tablet or mobile using iOS, Windows or Android devices.